Royal Caribbean sail to over 260 amazing destinations across the globe. Visit Europe, Australia, New Zealand, Asia, or the Mediterranean on one of the 25 exciting state-of-the-art cruise ships. They aim to make the ordinary into an extraordinary experience and continue to increase their list of “firsts” at sea. The Royal Caribbean fleet is amongst the most technologically advanced ships in the world. Be flabbergasted as robots mix your cocktails, try a mouthwatering array of restaurants and cafes - each serving delicious food from around the world including Jamie’s Italian, The Dog House, Coastal Kitchen, and Café Latte-Tudes. You’ll find that the entertainment has something for everyone. Watch the best-loved musical Cats or dance the evening away with Saturday Night-Fever. If the theatre isn't your thing, take advantage of the hilarious comedy nights, live music, ice-skating shows, or watch a film. 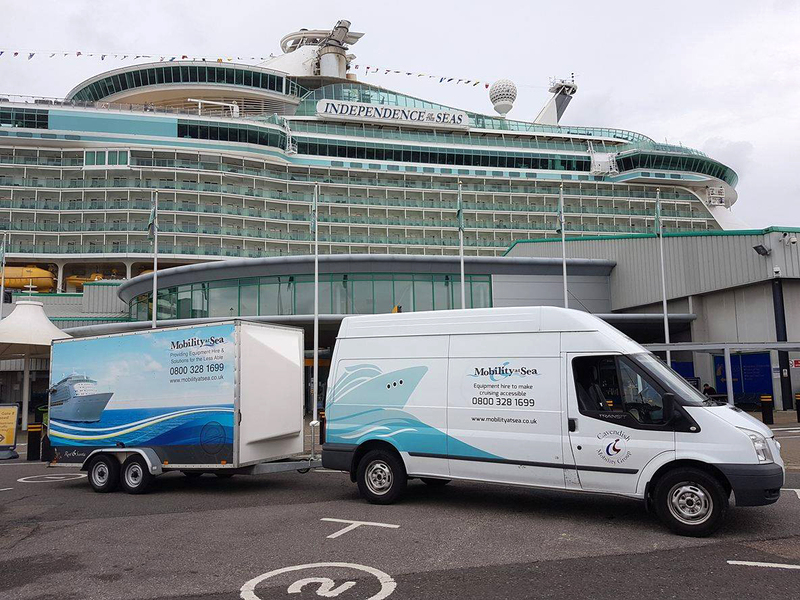 If you'd like to discuss taking mobility equipment onboard Royal Caribbean please call us on 0800 328 1699.